The sixteenth episode of NetherRealm Studios’ hugely popular Kombat Kast saw the team run through Triborg’s three variations and finishing moves when it was broadcast live from Burbank back on January 24. 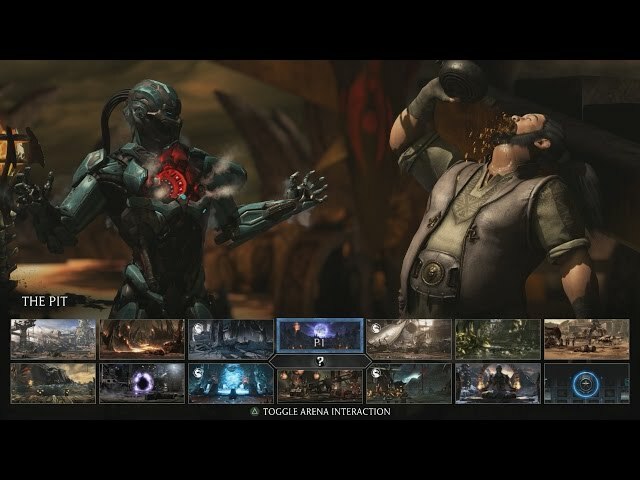 Toward the conclusion of the stream a secret fourth variation titled “Cyber Sub-Zero (LK-520)” was teased but the video was cut short seconds after gameplay began. With Kombat Pack 2 and Mortal Kombat XL now available for PlayStation 4 and Xbox One players, we can reveal just how simple it is to select this secret variation. Start off by selecting Triborg as normal, but refrain from selecting a variation. With the variation picker on-screen, press Up, Up + Triangle on PlayStation 4 or Up, Up + Y on Xbox One; if you’ve done it correctly Triborg should change to a pale shade of blue. Triborg’s Cyber Sub-Zero variation sees Unit LK-520 return in a form similar to his Mortal Kombat (2011) iteration, only with attacks that some have dubbed as over-powered. His chest bombs make a return, as does his chest freeze and sliding attacks. He has gained a new Drone summoning attack that allows him to apply chip damage to any of his enhanced freezing moves, making him a formidable opponent. Have you tried out Triborg’s Cyber Sub-Zero variation? What do you think? Be sure to let us know by registering and posting in our dedicated Mortal Kombat X forum. Also, remember to like us on Facebook, follow us on Twitter and subscribe to us on YouTube for the very latest from NetherRealm Studios.